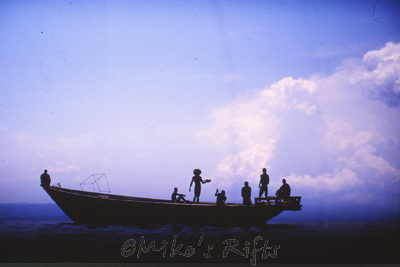 Yes Mike's Rifts is a fully licensed aquatic trader and a registered business that sells to the public. We are rated at the level of 5 stars by St. Helens Environmental Health Department & DEFRA. This means we operate at the highest level achievable with regards to the welfare and husbandry standards of our livestock. Why are you appointment only? Our business premises are based at home therefore visits need to be pre-arranged. Visits can be arranged via telephone, email or facebook. What times are suitable for an appointment? If I can't make an appointment what happens? If for whatever reason you cannot make an appointment just let us know. We can re-arrange your appointment and then open up your original slot for another customer. If I can't visit how do I order fish from you? You can telephone, email or facebook message us to make a stock enquiry. Once you have finalised your order a secure payment can be made over the phone using your debit card. 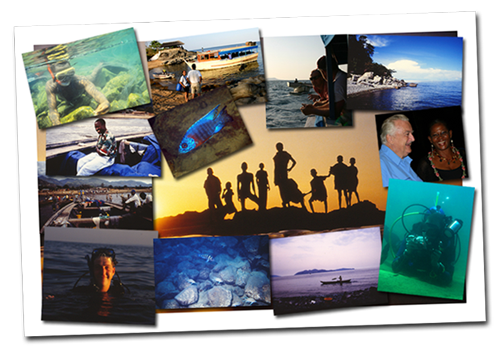 Where do you get your Tanganyikan & Malawi Cichlids from? 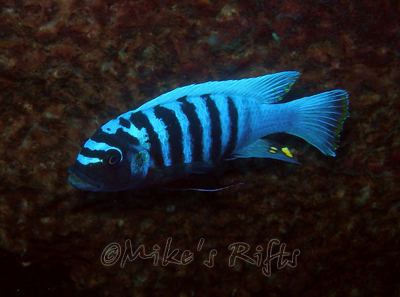 Most of our wild caught Tanganyikan & Malawi Cichlids are imported directly from east Africa. Our tank bred stocks are sourced from suppliers who offer the best quality rather than the best price. 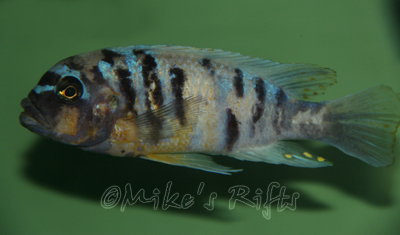 I've heard there are companies in Africa breeding Tanganyikan & Malawi Cichlids in ponds? 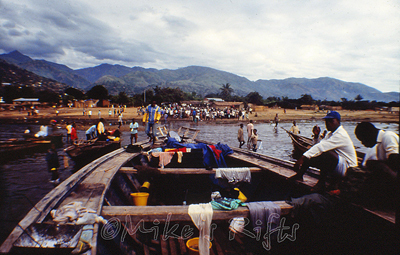 There was one company based in Burundi who bred mostly Tanganyikan cichlids in ponds (now defunct). Apart from some very small scale breeding for endangered species it's a myth that wild caught fish are pond bred. It's been tried by several people in the past but has failed as running fish farms for aquaculture in the countries in the rift lake region has proven extremely problematic. Who is this Mike character? 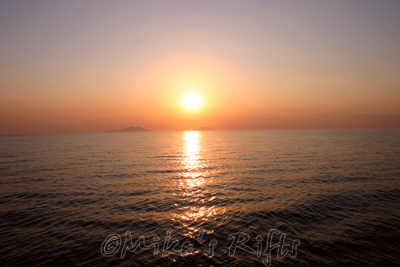 Mike's Rifts was set-up in 2009 after a redundancy notice offered me an opportunity to change careers. 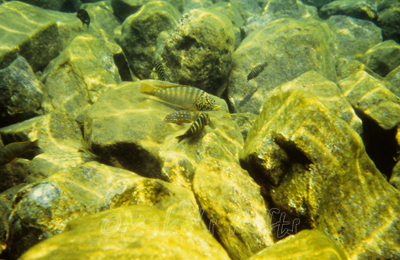 I've been keeping Malawi & Tanganyikan cichlids since 1984 and this hobby has enabled me to visit both Lake Malawi and Lake Tanganyika. My life long passion for these animals is what continues to drive Mike's Rifts. Why do you carry out weekly water changes on your tanks? - To renew minerals and trace elements. - To remove dissolved organic waste that a filter cannot remove e.g. nitrates. - To reduce the populations of disease pathogens that can build up in a fish tank. Large weekly waterchanges are the best way to ensure your rift lake cichlids environment is as safe and stressless as possible. Often many health problems can be traced to inadequate water changing regimes and with many rift lake cichlid keepers overstocking their tanks to keep aggression levels down no amount of additional filtering will solve all problems unless large weekly water changes are conducted using stable, pre-prepared water. Why do you recommend storage and aeration of water before using it? Whilst in storage chlorine will degass as will carbon dioxide which leads to stable water for water changing. Also it gives you an opportunity to increase the pH safely by adding buffers before you add the water to the tank. Pre-storage of water before use can considerably minimise the stress on your livestock and allows for much larger water changes to be conducted. 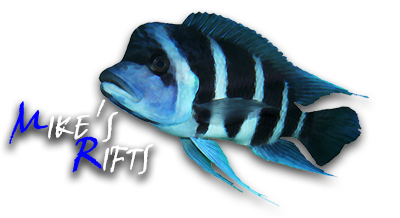 There are many folks out there whom swear that the best way to buffer your rift lake cichlid aquarium is by filling your tank with ocean rock and using coral sand as a substrate. This is my viewpoint on this subject THESE SUBSTANCES ARE COMPLETELY INADEQUATE AS BUFFERS! Testing your water's GH, KH and pH is a good starting point to find out if you actually need to buffer your local water supply. If so then there are plenty of products out there to buffer your tanks water before use but please do not rely on an old wives tale when it comes to buffering your water. Coral reefs do not dissolve in the oceans so why should they dissolve in your aquarium? If this was true you would be replacing your rockwork and sand every 12 months! Are wild caught cichlids better than tank bred? For the vast majority of rift valley cichlid keepers tank bred fish are the best option but for breeding stocks that are guaranteed to be unrelated then wild caught fish are often the best option. Are F1 fish better than wild caught fish? In many respects yes they are, they will have the colour and vibrancy of wild stock except with a greater robustness to captive conditions. In some cases F1 stocks can be actually better looking than their wild counterparts. Why do so many people claim to have F1? The simple answer is many of them are not true F1's, some people are either ignorant of what it means or they lie. Some people may also sell tank bred fish as wild caught therefore leading the new owner to believe they have wild caught stock and so any fry bred from them they label mistakenly as F1. 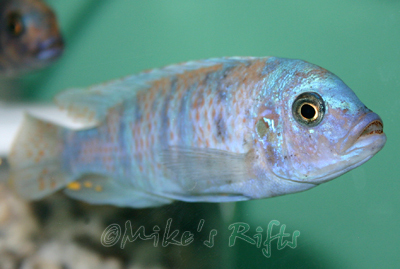 Malawi bloat is a disease that affects cichlids from the rift valley lakes. It is caused by parasites that live naturally in the digestive tracts of these fish. These parasites all belong to the group of micro-organisms called flagellated protozoa, Hexamita, Spironucleus and Cryptobia which are naturally occuring pathogens in many animals worldwide. Bloat starts with a population explosion of one of these parasites in the gut lining where if left untreated will lead to the breakdown in the fishes renal system. The latter stages of this disease is when the fish becomes "bloated" and usually die as they are unable to osmoregulate themselves normally. Stress is thought to play a large factor in outbreaks of "bloat" and stocks that are newly introduced into established tanks are prone to much higher levels of stress than fish that are established and settled. Along with stress, overfeeding or feeding with foodstuffs containing too much animal protein can also lead to fish becoming ill with bloat. This disease can be avoided by feeding the correct diet and keeping tank conditions clean whilst ensuring stress levels are kept to a minimum. Is Malawi bloat a treatable disease? Yes it's perfectly treatable as long as its spotted early on. 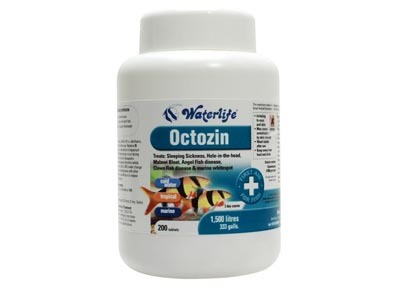 Waterlife's Octozin is a highly effective cure for Malawi bloat. 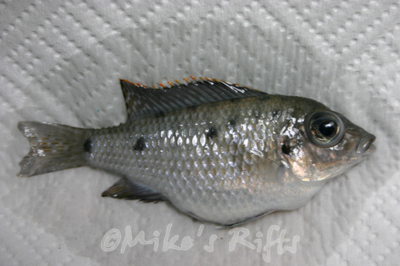 Is it OK to mix cichlids from different rift valley lakes? In our experience it's not worth the risk. Apart from the differences in water conditions, behaviour and diets when you mix wild caught cichlids from Tanganyika and Malawi they are then exposed to each others parasites. This may lead to a situation where a Tanganyikan cichlid becomes infected with a pathogen that came from a Malawi cichlid (and vice versa) that it has zero immune response to. Successful treatment in such cases may be much harder to achieve since the fishes immune system could be overwhelmed. What is a "Marmalade Cat" or "Mcat"? 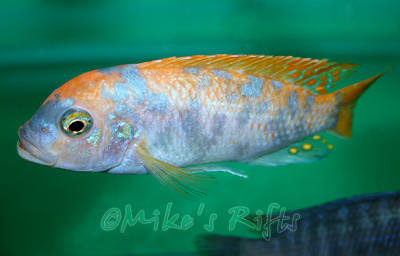 An Mcat is a male Malawi Mbuna which has a genetic defect and expresses both the normal male colouration with an Orange Blotch colour pattern at the same time. 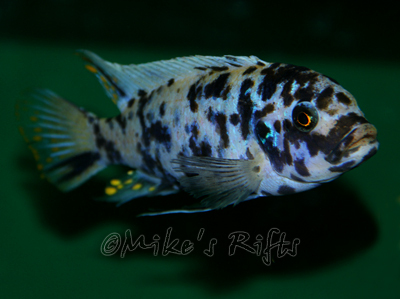 Mcat males are found naturally within wild populations of Mbuna that have Orange Blotch females. They are relatively rare as a wild caught fish. Fishes described as wild caught should have been collected in a rift valley lake. This is a fish that has been bred and reared in a pond in captive conditions. 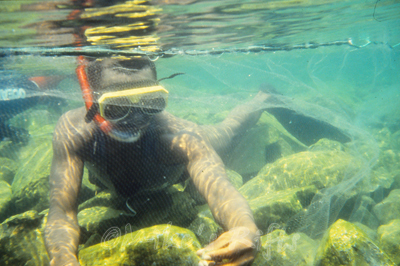 Fish that have been bred and reared in tanks or ponds next to a Rift Valley Lake. This is a fish that has been bred in a fish tank in captive conditions. This term refers to the "Filial" system that is used to keep track of generations when breeding plants and animals. 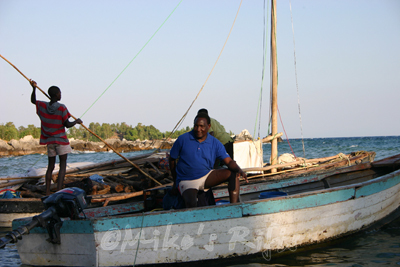 With Tanganyikan and Malawi cichlids it is used to refer to how many generations removed from wild caught a fish is. So F1 refers to 1 generation removed from wild caught parents, F2 is 2 generations removed from wild caught parents and so on. F0 is sometimes used to describe a wild caught fish. Fish bred in the UK. Fish that were bred in countries on the continent such as Germany, Holland and Czech Republic. Fish that were bred in countries in the Far East such as Thailand, Singapore and Sri Lanka. Being asked to pay 100% upfront for fish that are not actually in the dealers tanks. Paying a partial deposit is normal but paying 100% upfront for fish that have yet to be shipped into the country can be a risky affair. What happens if the fish do not arrive? Being asked to pay via Paypal as a gift payment, this means that you cannot get your money back in the event of a dispute. Ask yourself why the person is avoiding legal protection for their business transactions? Sellers describing everything as F1 or even wild when it's nothing of the sort. Ask the seller for evidence if you are suspicious as a wild fish should have been imported into the EU and have documents somewhere to prove it's origin. Even F1 stock should have an invoice from source to show it's F1 if you are purchasing from a dealer. No paperwork to back the description up then think carefully about the purchase. 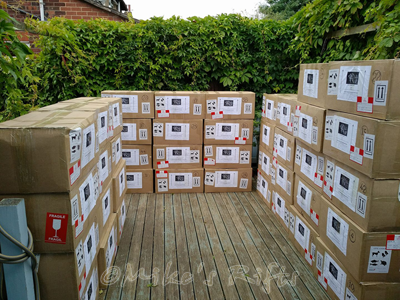 Dealers who ship in large tank/pond bred stocks from the Far East or Europe and pass them on as either F1 or wild caught. Fish that are obviously at a juvenile size but in full adult male colour. These stocks are hormone treated so that they show these colours at an un-natural size (even the females!) The hormones eventually wear off and the fish loose most of their original colour. Sounds too good to be true! - wild caught breeding groups containing mostly females sound pefect until you take into account the age of the fish i.e. past their breeding best or with certain species such as Tropheus they could all be males being passed off as a bargain breeding group after the orginal owner removed all the females. Count the bars and spots as they could be hybrids. If you count 6 bars on one side of the body and 3 on the other then they could well be hybrids being sold off as a real species. Remember the sale of these fish comes under the UK's Retail trading laws and you have full legal rights to ask questions and if you are unhappy with the response from the seller then think twice about going ahead with the purchase. If you suspect you have been duped then you should contact your local Citizens Advice Bureau for help. 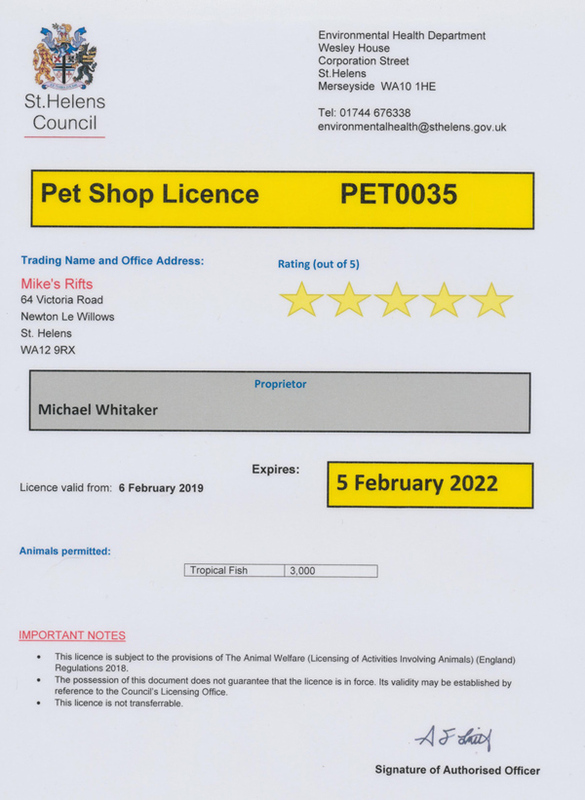 Some of the scam artists out there are unlicenced and it is against the law to trade in these animals without a pet shop licence. These sellers are often operating on a cash basis and evading paying tax on their profits.